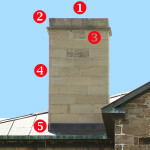 Here’s what you need to know about size, height and mesh to select the correct multi flue chimney caps that mount to the top of your chimney’s cement crown. 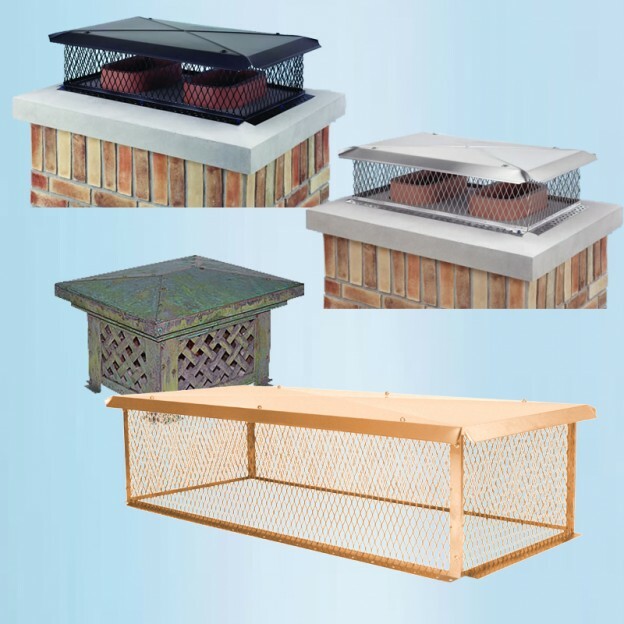 These top-mount chimney caps can also be used to cover a single flue. 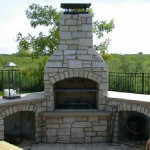 You need to take three measurements in order to choose the correct top mount chimney cap. 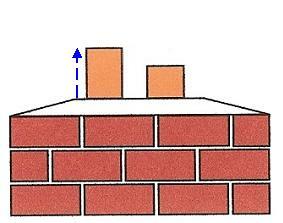 First, measure the length and width of your entire chimney, as shown by the red dotted line in the diagram to the right. 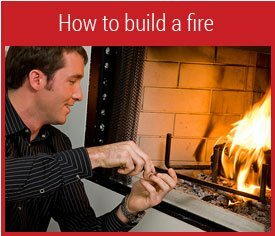 Next, measure the length and width of a rectangle just big enough to include all the flues on your chimney, as shown by the black dotted line. This is the minimum screen size. Your chimney cap can be any screen size between the dotted red rectangle and the dotted black rectangle. Last, measure the height of the tallest flue above the top of the chimney, as shown by the blue dotted line. You will want a multi flue chimney cap at least 5 inches taller than the tallest flue. 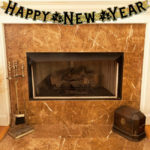 Most multi flue chimney caps have mounting flanges that add 1 1/2 inches to each side of the screen. So, for example, a top mounting chimney cap with a screen size of 13 by 17 inches will cover 16 by 20 inches of the top of your chimney. Some multi flue chimney caps can be installed with the mounting flanges inside the screen or outside of it. That is, the flanges can face toward the flues or toward the edges of the chimney. If your goal is to protect the top of your chimney from deterioration caused by weather and acid rain, choose the largest screen size that will fit within the red dotted line. If your goal is to be as economical as possible, select a chimney cap the size of the black dotted line. Some chimney caps are taller than others. The height of the screen part of a chimney cap is the screen height. California Code requires spark arrestor chimney caps to have mesh screens with openings no larger than 5/8 of an inch instead of the standard 3/4 inch mesh used elsewhere. The intention of the Code is to keep glowing coals from leaving the chimney and starting wildfires. A few other communities in the southwest have similar codes. If you live in California, Oregon, or any wildfire prone area, selecting a 5/8″ mesh spark arrestor chimney cap is a good idea. It’s available on nearly all of multi-flue chimney caps.